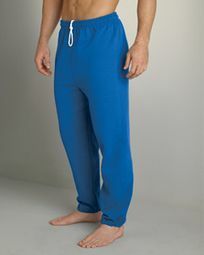 And the winner is....Buycoolshirts offering a “knock-out” array of high performance sweatpants in our Sweatpants Section! Contenders are Lightweights,Heavyweights, Champion, Upscale, Jerzees, Gildan, Hanes and Fruit of the Loom Sweatpants, Fleece Sweat Pants, with or without pockets, Open Bottom sweat pants, Men’s Yoga Pants and Ladies Foldover Yoga Pants and so much more! There's no match to our collection's comfort, performance, fit and style!